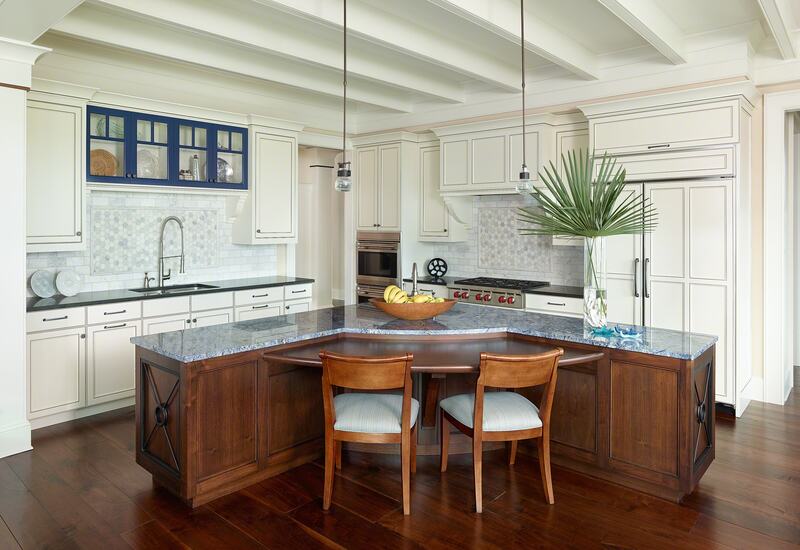 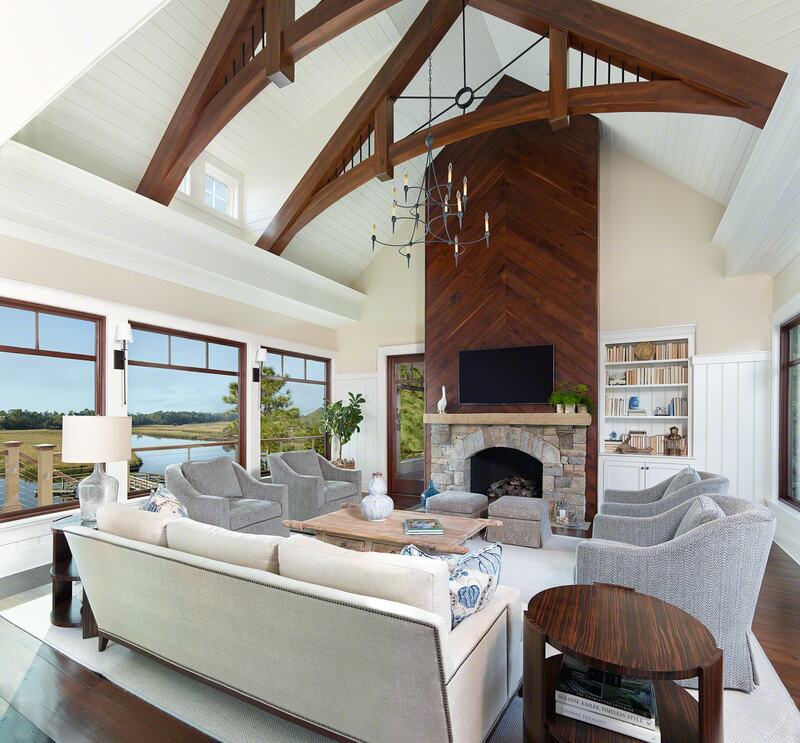 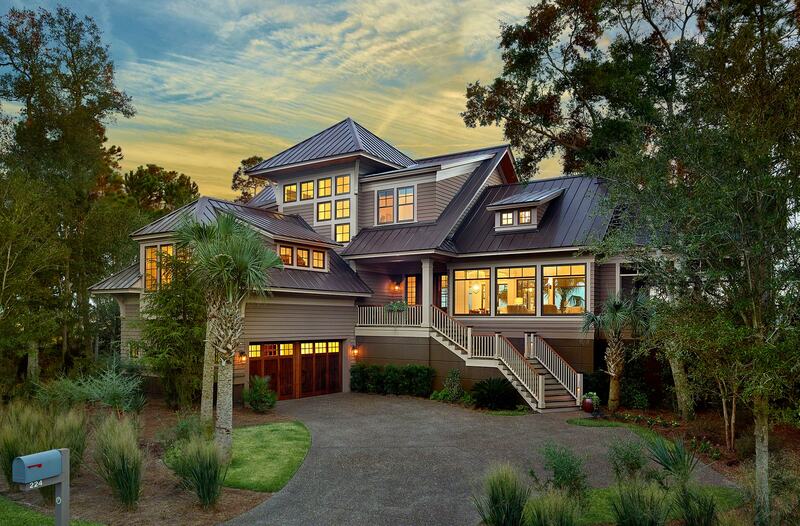 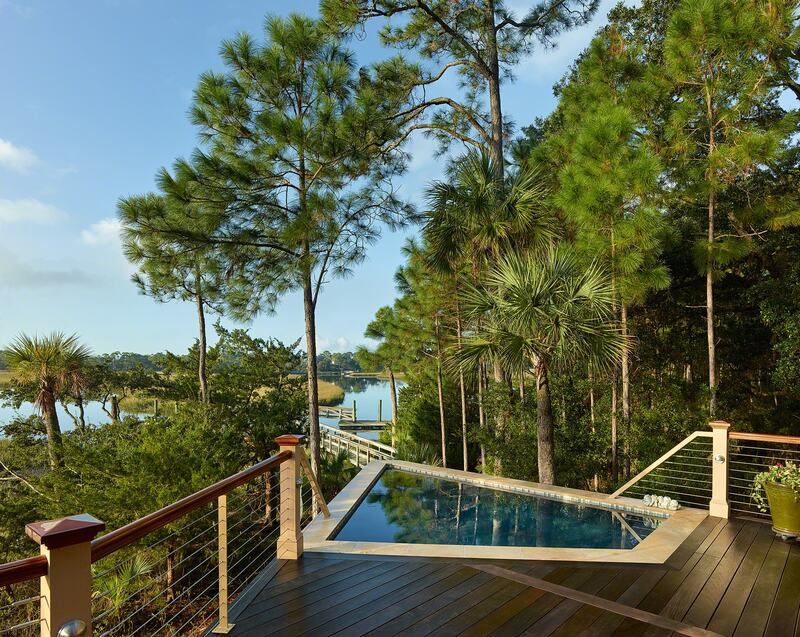 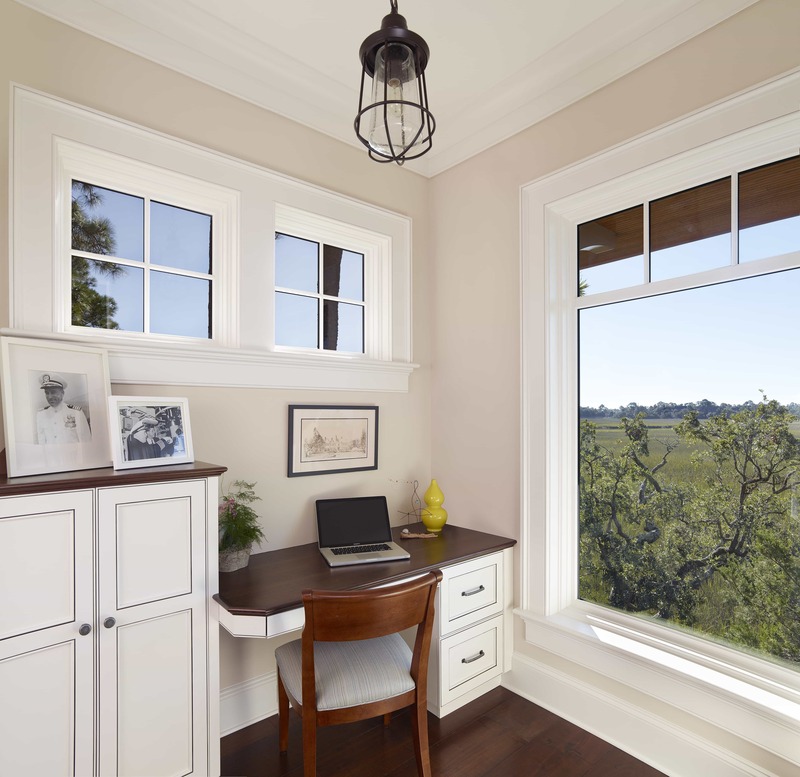 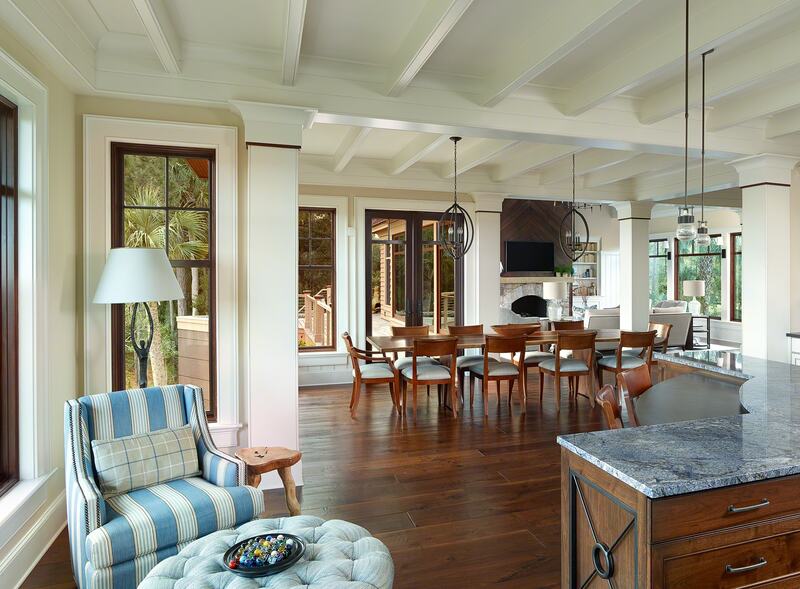 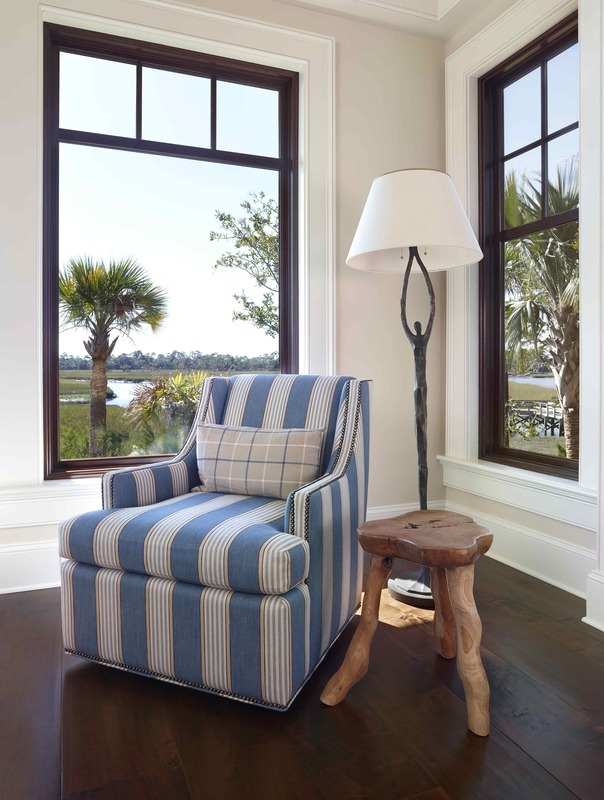 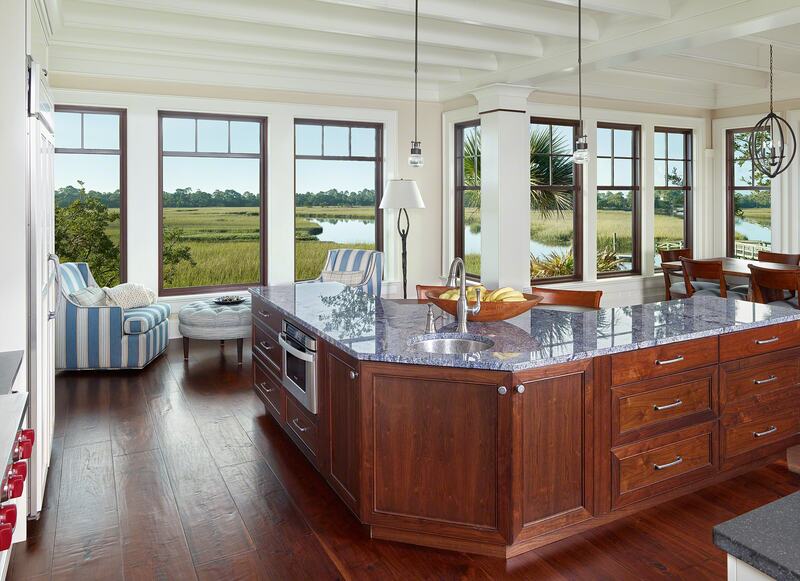 The Kiawah River was the main focal point when designing this relaxed getaway for a welcoming family. 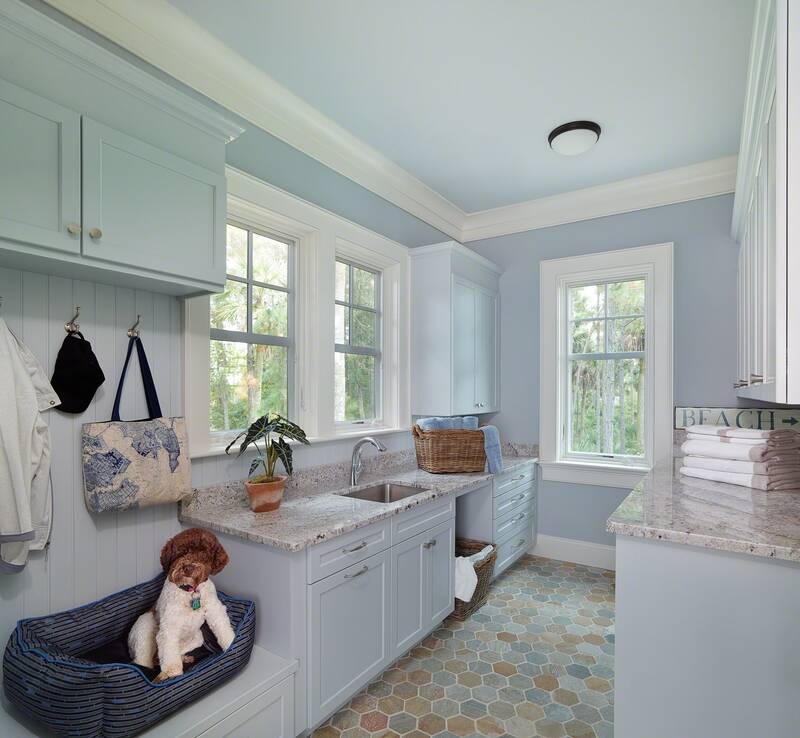 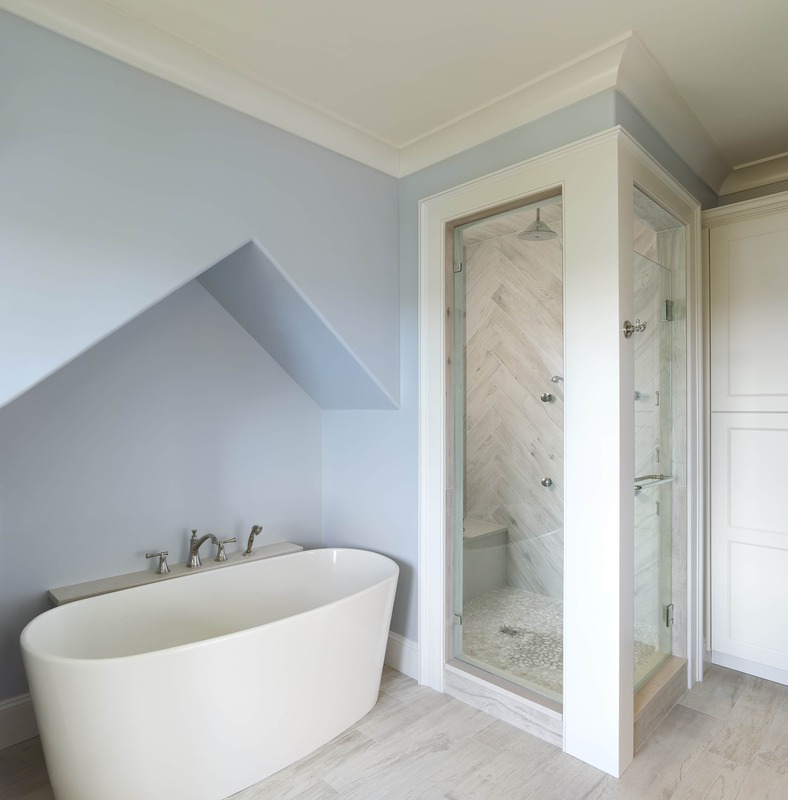 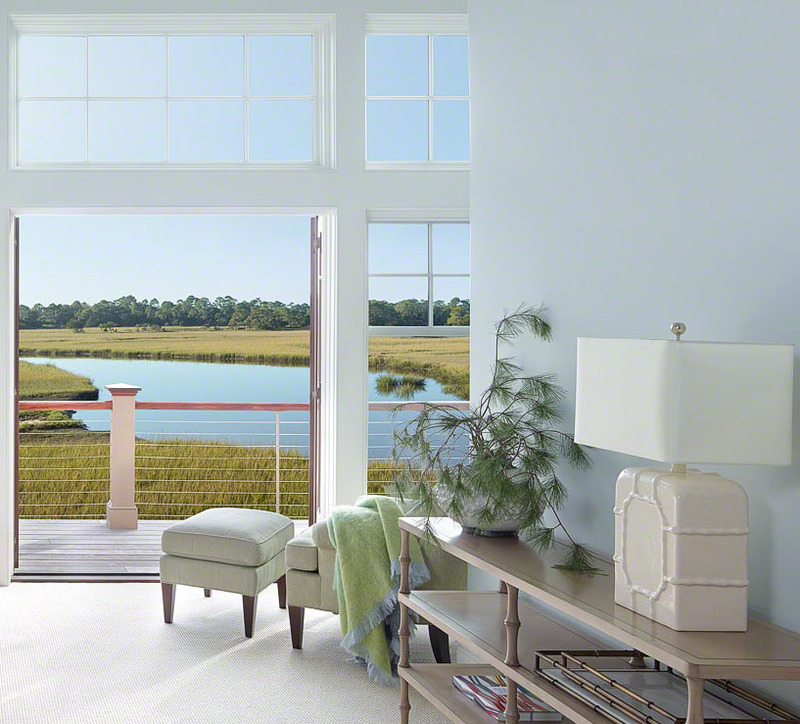 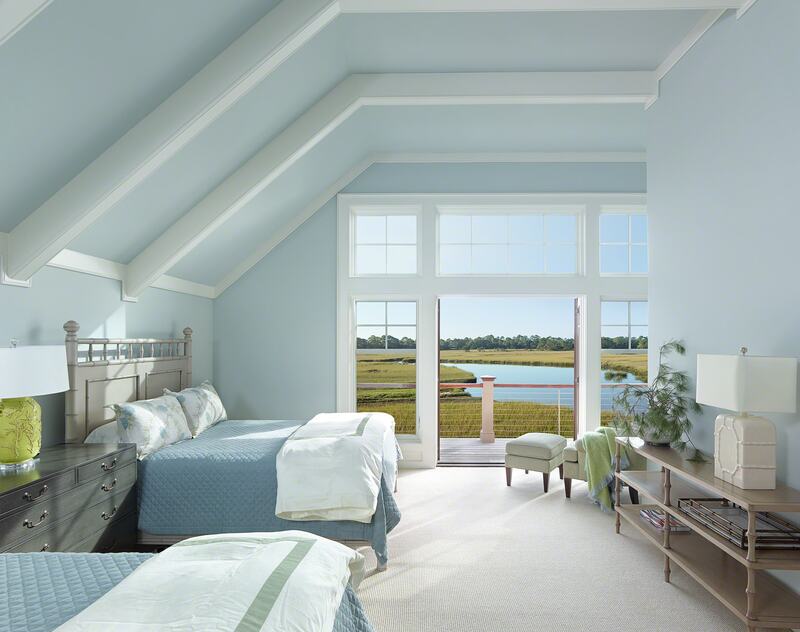 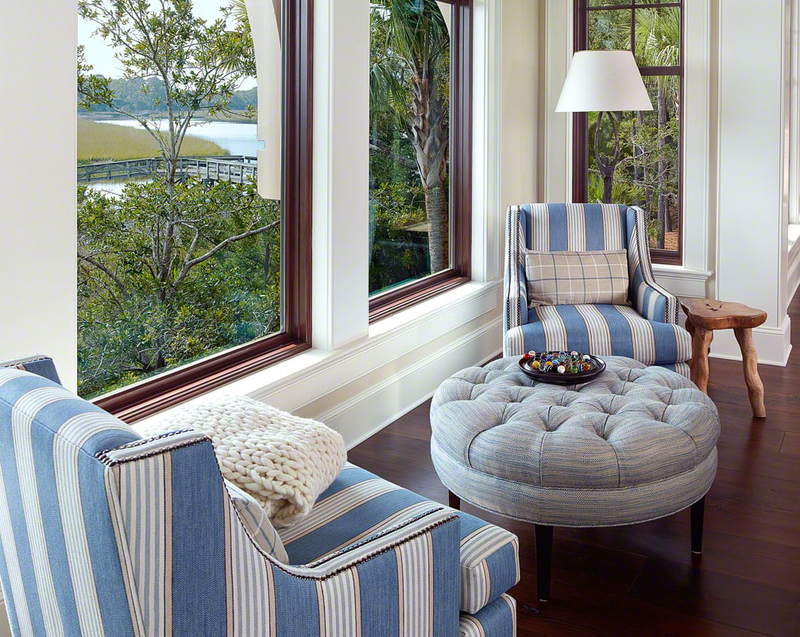 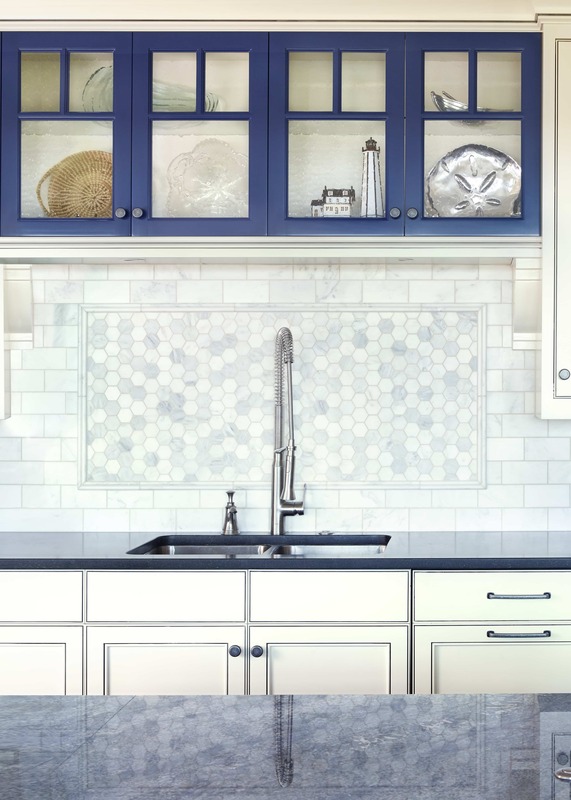 Exterior marsh views sweep across each room and are complimented on the interior by the owner’s love of the color blue. 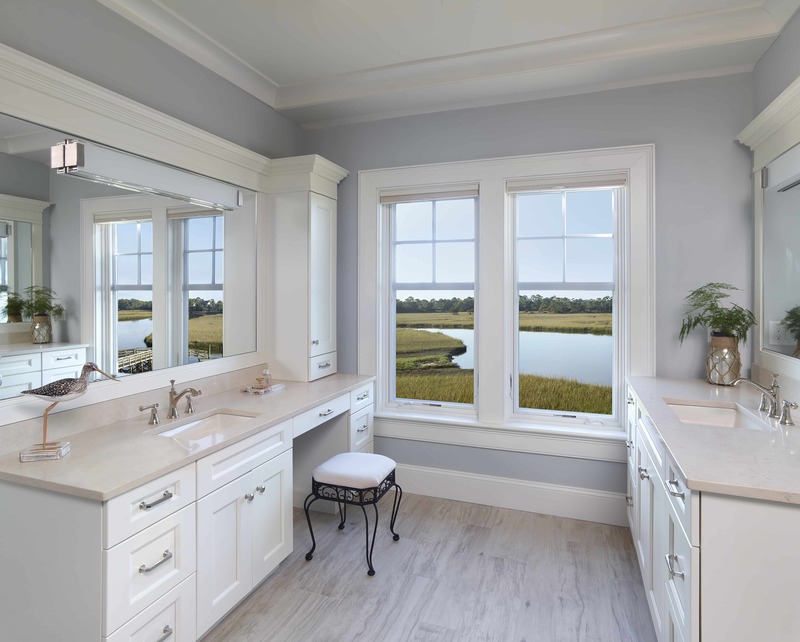 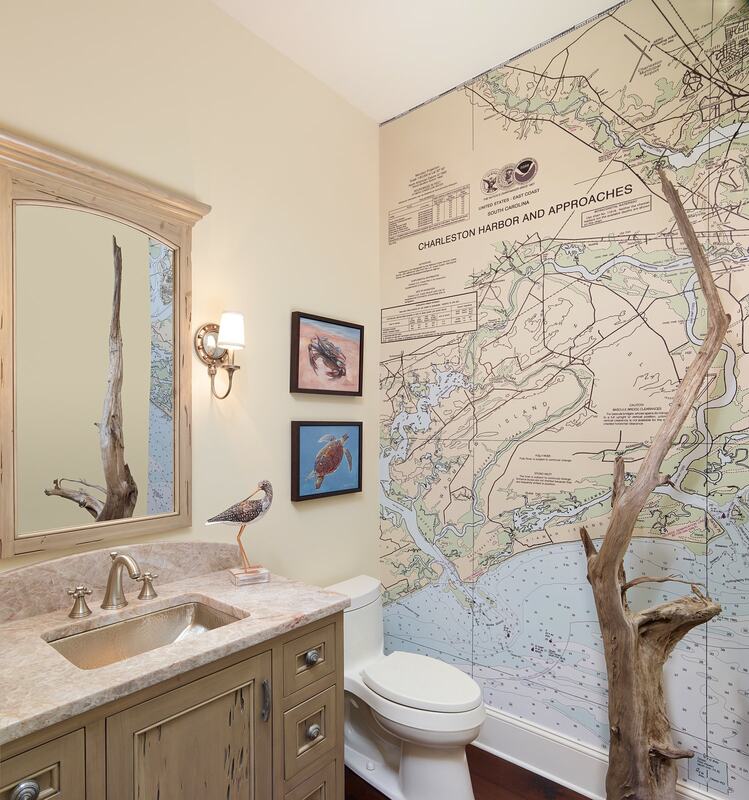 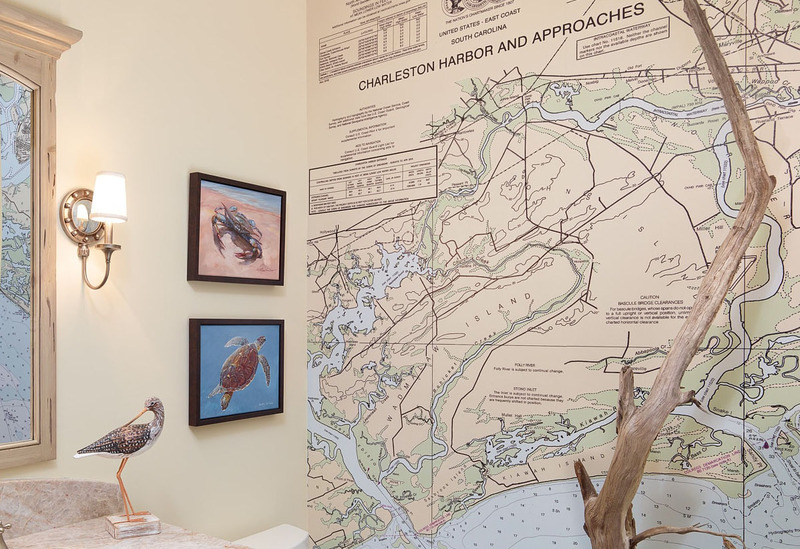 One of our favorite spaces is the powder room for it’s floor-to-ceiling map of the Charleston Harbor.